Browse eucalyptus-oil suppliers by country and region. 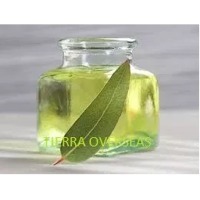 Tierra Overseas is manufacturer and supplier of high quality Eucalyptus Oil in India. Biological Source : Eucalyptus oblique Family : Myrtaceae Product Description Eucalyptus oil is the generic name for distilled oil from the leaf of Eucalyptus, a genus of the plant family Myrtaceae. We manufacture Eucalyptus oil as, Raw plant material consisting of Leaves are put into an alembic over water. As the water is heated, the steam passes through the plant material, vaporizing the volatile compounds. The vapors flow through a coil, where they condense back to liquid, which is then collected in the receiving vessel. Eucalyptus oil distllled in a single process. Eucalyptus oils are categorized into three broad types according to their composition and main end-use : 1. Medicinal 2. Perfumery 3. Industrial Medicinal Use of Eucalyptus Oil The cineole based oil is used as a component in pharma preparations to relieve the symptoms of influenza and colds. Eucalyptus oil may have antibacterial effects on pathogenic bacteria in the respiratory tract. Inhaled Eucalyptus oil vapor is a decongestant and treatment of bronchitis. Cineole may control Mucus hypersecreation and asthama via anti inflammatory. The main chemical components of Eucalyptus oil, eucalyptol and alpha-terpineol, give the essential oil a soothing, cooling vapor. Early research has shown Eucalyptus oil may have anti-inflammatory and analgesic qualities in as a topically applied liniment ingredient. Eucalyptus oil is also used in personal hygiene products for antimicrobial properties in dental care and soaps. It can also be applied to wounds to prevent infection. 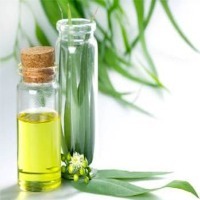 Perfumery Use of Eucalyptus Oil Eucalyptus oil is used in flavouring. Cineole-based eucalyptus oil is used as a flavouring at low levels in various products, including baked goods. confectionery, meat products and beverages. Eucalyptus oil is also used as a fragrance component to impart a fresh and clean aroma in soaps, detergents, lotions, and perfumes. Eucalyptus oil is found in mouth rinses to freshen breath. Industrial Use of Eucalyptus Oil Cineole-based eucalyptus oil (5% of mixture) prevents the separation problem with ethanol and petrol fuel blends. Eucalyptus oil also has a respectable octane rating and can be used as a fuel in its own right. Phellandrene- and piperitone-based eucalyptus oils have been used in mining to separate sulfide minerals via flotation. Tierra Overseas is supplier of fennel seed oil in India. Fennel oil is an essential oil which is obtained from the steam distillation of seeds of Foeniculum vulgare. Fennel essential oil is best known as a powerful ingredient for good digestive health. Like its root plant, it has a licorice-like flavor and an aroma that’s developed from crushing the seeds of the fennel plant and going through a process of steam distillation. It is clear with a Faint Yellow Tinge. It has a thin consistency. It is Sweet, somewhat spicy and peppery, licorice-like (Anise) aroma.. Biological Source : Foeniculum vulgare Family : Apiaceae Constituents of Fennel Oil (E)-Anethole (+)-Limonene Fenchone Estragole a-Pinene Benefits of Fennel Essential Oil - Helps Heal Wounds. - Reduces and Prevents Spasms in the Gut. - Contains Antioxidants and Antimicrobial Characteristics. - Relieves Gas and Constipation. - Treats Digestive Issues. - Aids in Weight Loss. - It is useful for Menstruation Regulation. - Fennel Essential Oil can help balance fluid retention and may help curb the appetite. - It has diuretic, mucolytic and expectorant properties. 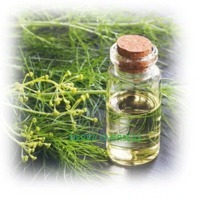 - Other uses of Fennel Essential Oil - It is used in cooking and preparation of various cuisines. - Works as natural perfumery agent. - Useful in aromatherapy. - Use as mixing and diluting agent. Lavandin Oil : Lavandin essential oil, while similar to Lavender, is not a “true” lavender. It is a cross between lavender (Lavandula angustifolia) which grows at higher altitudes and spike lavender (Lavandula latifolia) which grows lower on the hillsides. Therapeutic properties of Lavandin Oil: The remedial properties are antiseptic, antidepressant, analgesic, vulnerary, expectorant, cicatrisant, nervine, antispasmodic and stimulant. 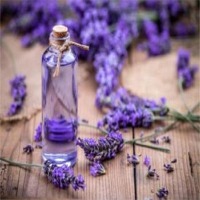 Ayurvedic health benefits of Lavandin Essential Oil: Many of us misconstrue that Ayurveda and the other traditional healing practices are meant for the old people or people who are still attached to the Stone Age. Ayurveda is the first and foremost healing methodology to love human beings and appreciate their individual identity, feelings, characteristics and behavioral patterns. Short on time? Let eucalyptus-oil sellers contact you. We are manufacturer of eucalyptus oil at our organic farm we can supply 1000 kg per week we r searching buyers for dame product . Available Essential Oils and Chemicals for Fragrances from Certified manufacturers from India . Henna, natural henna powder, indigo henna powder, neutral henna powder, henna leaves, herbal product, herbal bhringraj, herbal areetha, herbal shikakai, hibiscus, multani mitti, kapur kachri, mint leaf, mint, fuller's earth, amla, tulsi, neem leaf, rose petals, orange peel, black henna, dark brown henna, burgundy henna, golden henna, chestnut henna, red henna, light brown henna, henna, marble, granite, eucalyptus oil, lavender oil, flower. Eucalyptus oil is primarily extracted from the leaves of the evergreen tree, eucalyptus globulus or the Tasmanian bluegum, southern blue-gum and sometimes called as fever tree. This aromatic essential oil can be used as an antiseptic, for deodorizing, and occasionally in food supplements, particularly sweets, medicated lozenges, used to soothe the throat, toothpaste and in drugs that decreases pulmonary congestion. It has insectifuge properties as well and used as an important component in many commercial mosquito repellents. Eucalyptus oil and geranium oil. Davana oil, plamrose oil, eucalyptus oil, citrodora oil. Lotus Mint Essential Oil Pvt. Ltd.
Eucalyptus oil and commercial oil.